This is obviously not the time of year for your air conditioner unit to not be working properly. An inefficient A/C unit is like dealing with a slow and painful death. So, what could be causing it to not cool your house down? Instead of jumping to conclusions, because there could be many reasons why it’s not working, here are a few tasks you can review on your own that may fix the problem. If nothing seems to help, call us immediately and we’ll send out an air conditioning technician to resolve any issues. We see a lot of residential customers forget to replace their filters on a monthly basis. They sometimes go months. Dirty filters block airflow to your unit and make it harder to circulate cold air throughout your house. 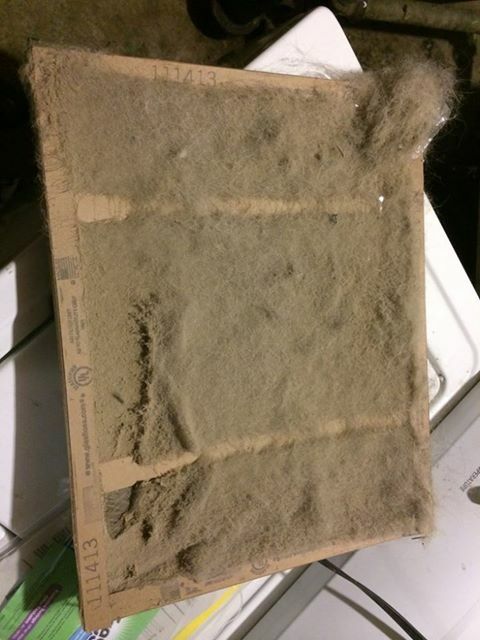 Again, make a schedule to replace your filters monthly. If you continue to forget to change your filters, consider purchasing Lifetime Permanent Washable Filters. You only have to wash them every three months and they can last up to five years. Give us a call and we’ll be glad to answer any questions about them. You should really wash off your outside unit at least once a year. You can simply spray it off with your water hose and sprayer but it’s best to hire a professional to clean you’re A/C coils properly. This is one of the many benefits of our preventative maintenance plan we offer to all of our customers. Make you don’t have any plants or bushes overgrown around it. If you’re A/C is still not working properly, please call the professionals at Cluff Mechanical Heating & Air Conditioning. We’ll do a complete system check-up and provide you with a detailed review before we complete any work. Please request an appointment or call us at (602) 765-2665. Cluff Mechanical has been serving the West Valley and Central Phoenix for over 20 years, keeping their homes cool and comfortable. We Are the Key to Your Comfort!